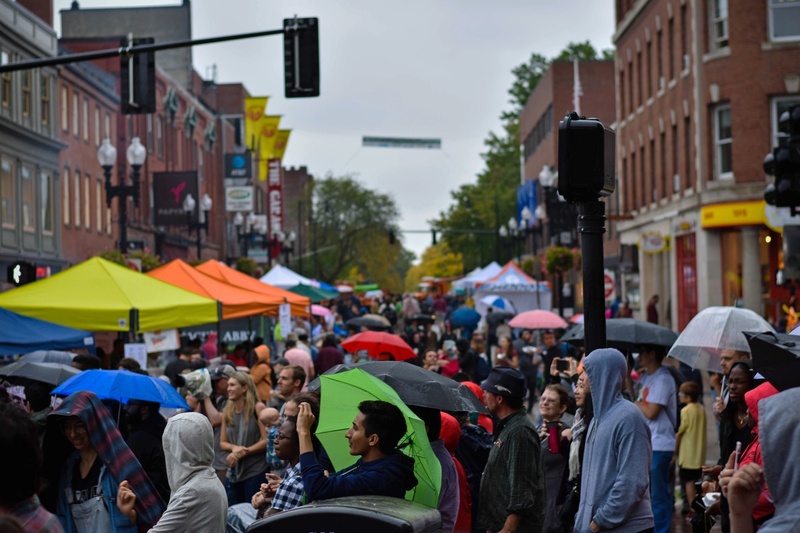 Cambridge residentsand Harvard affiliates milled around the Square during the 2018 Oktoberfest celebration. City officials are pushing locals to recycle and compost more. Members of the CambridgeHealth and Environmental Committee discussed the city’s progress towards achieving its “Zero Waste” goals as well as efforts to optimize recycling and composting systems at a public hearing Tuesday. Zero Waste refers to the city’s attempts to substantially decrease the amountof discarded material it sends to landfills every year. As part of the inititative, Cambridge officials are asking residents to be more conscious of how they dispose of unwanted items. “Zero Waste importantly does not mean zero trash, but it does try to bring us to a more sustainable waste diversion and recycling and reduction practice,” said Vice Mayor Jan Devereux, who co-chairs the Health and Environmental Committee alongside Councillor Quinton Zondervan. The Zero Waste program comes as landfill capacity is shrinking in Massachusetts. More and more sites areclosing down — by the end of 2018, seven out of 20 state landfills will be inactive, according to government predictions. 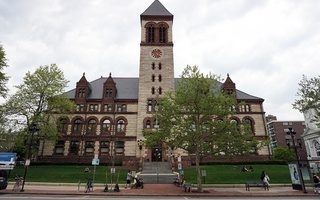 As part of another ongoing city effort to promote environmentally responsible wastedisposal, Cambridge officials are teaching Cantabrigians how to recycle. The city now hosts a “Get Rid Of It Right” webpage that allows viewers to look up items they want to throw away by typing into a search bar.The website then provides information on how to correctly dispose of the item. Some Zero Waste initiatives will aim to reduce waste production itself. Devereux suggested that the Department of Public Works could in future standardize the size of trash cans it provides to locals. If the trash cans are slightly smaller, it may encourage people to decrease their weekly trash output, Devereux said. 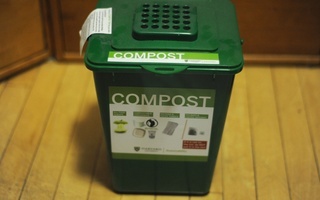 Waste reduction practices promoted by the city parallel Harvard’s own sustainability initiatives. According to Devereux, waste produced by Harvard and its affiliates is regulated by state laws includingthe Commercial Food Waste Ban of 2014. That ban is meant to decrease the amount of food waste in landfills by “at least 35 percent” by 2020. That can meandifferent things at different sites across the University. At the Harvard Kennedy School and Dudley House, dining hall patrons are encouraged toreuse plastic “clamshells” to hold their food.When they do, they receive tokens that can be used to help pay for future meals. Harvard Athletics and the Resource Efficiency Program also recentlycollaborated on an effort to increase rates of recycling at football games. According to the 2017 Harvard Sustainability Report, trash production per capita at Harvard decreased by 44 percent over the past decade or so, falling from 536 pounds per capita in 2006 to 302 pounds per capita in 2017. Food waste reduction contributes significantly to this number.Harvard University Dining Services, Harvard Law School, and Harvard Business School all began donating their surplus food in that time period. 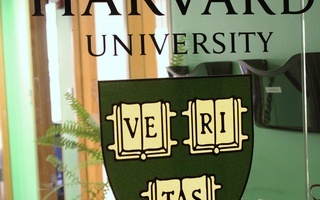 “Whether we’re addressing challenges like energy, waste or health, the partnerships we have with the City of Cambridge, higher education peers like MIT, and leading businesses allow us all to identify shared barriers to change, discuss best practices, and develop solutions that can be widely replicated for greater impact,” Heather A. Henriksen, the managing director of Harvard’s Office for Sustainability, wrote in an emailed statement. “It’s complicated for sure. It’s going to take a lot of creative minds thinking about how we change behavior, how we change the way things are manufactured, how we change attitudes about sending waste away,” Devereux said.